Less Radiation — The equipment used in digital radiography exposes dental patients to much less radiation. In fact, digital X-rays use up to 90 percent less radiation than film X-rays. 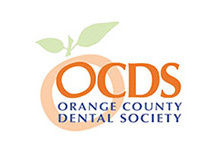 Shorter Dental Appointments — Digital radiography can also shorten your dental appointment! With traditional dental X-rays, you’ll have to wait while your dentist develops the film. With digital radiography, the sensor develops the picture almost instantly and projects it onto a computer screen right before your eyes. Higher Quality Images — The standard size of traditional X-rays can make viewing difficult, but digital radiography has done away with the “one size fits all” mentality. 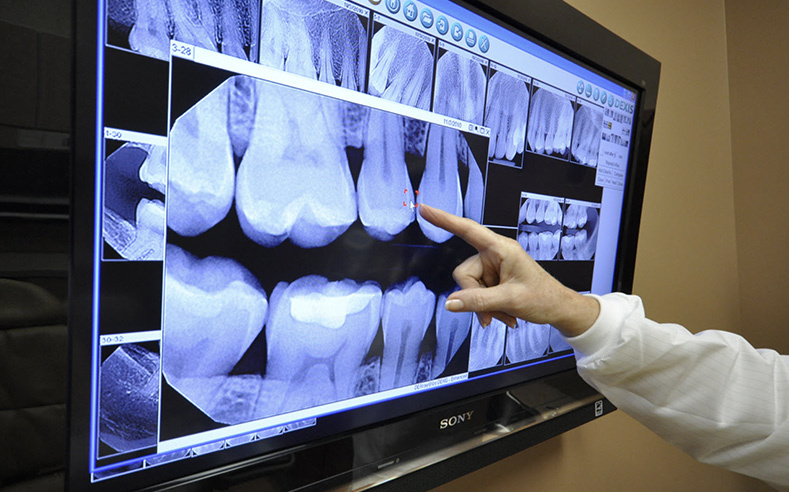 Once on the screen, digital X-rays can be enlarged or magnified for a better visual of the tooth’s structure. 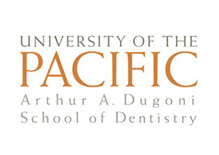 Transferring Dental Records — Digital images can be e-mailed to a dental specialist for immediate review. 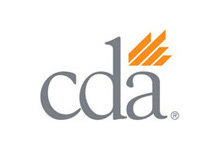 Digital X-rays are taking away the expense and time needed to copy files and mail them to another dentist, making it easier to transfer records or get a second opinion. Dental caries, more usually known as tooth decay, is caused by acid-producing bacteria that collect around the teeth and gums in a sticky, clear film called “plaque.” Without good daily oral hygiene and regular dental visits, teeth become more vulnerable to caries. Another key to good oral health is fluoride, a mineral that helps prevent caries and can repair teeth in the very early, microscopic stages of the disease. Fluoride can be obtained in two forms: topical and systemic. Topical fluorides are applied directly to the tooth enamel. Some examples include fluoride toothpastes and mouth rinses, as well as fluoride treatments in the dental office. If you, or a family member, are at a moderate-to-high risk of developing caries, a professional fluoride treatment can help. 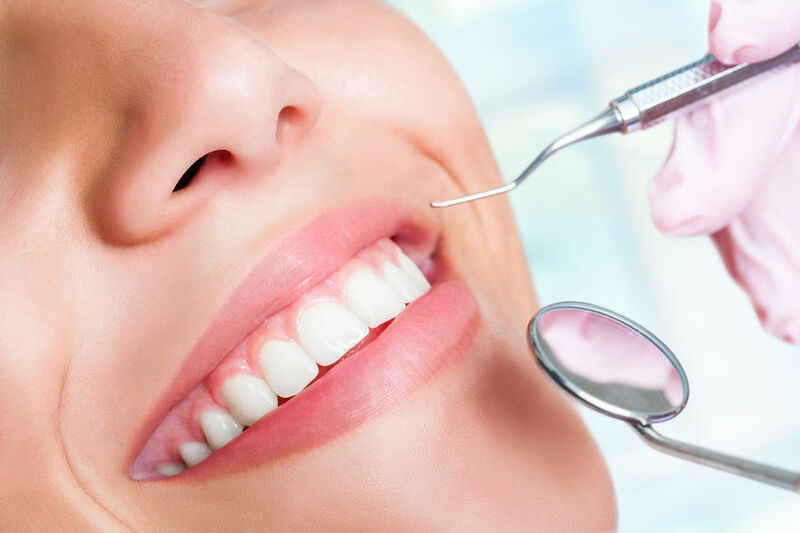 The fluoride preparation used in our dental office is a much stronger concentration than that in toothpaste or fluoride mouth rinses that may be available in a store or at a pharmacy. Depending on your oral health status, fluoride treatments may be recommended every three, six or twelve months. Come in and let’s discuss whether in-office fluoride treatments will be a benefit to your oral health care. Have you ever wondered if you need a night guard, or wondered if you should have one? There are a number of reasons for people to have night guards, and they provide a number of dental advantages to those suffering certain conditions. Mouthpieces are a great solution to this problem, however, as they prevent teeth grinders from damaging their dental health. They are made to be thin in order to provide maximum comfort to the wearer while they are sleeping. They are even designed to make it easy and comfortable for the wearer to carry on a conversation while wearing it—like it’s not even there. 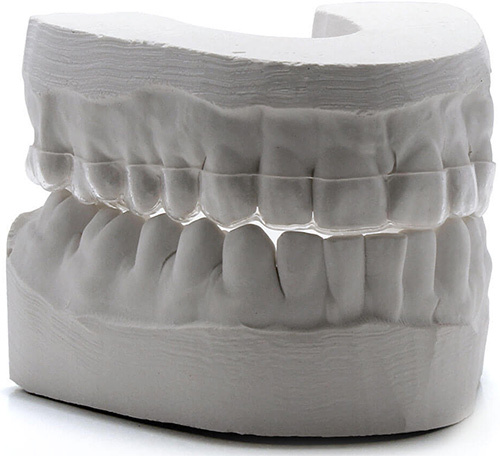 At our offices, we provide custom fit custom orders, specially molded after each person’s set of teeth, because we understand that no two people have identical sets of teeth. A well fitted, custom ordered mouth guard is the recommended solution to those who tend to grind their teeth while sleeping. If it is not seen to sooner rather than later, it is likely that the issue will only persist and perhaps increase in severity. 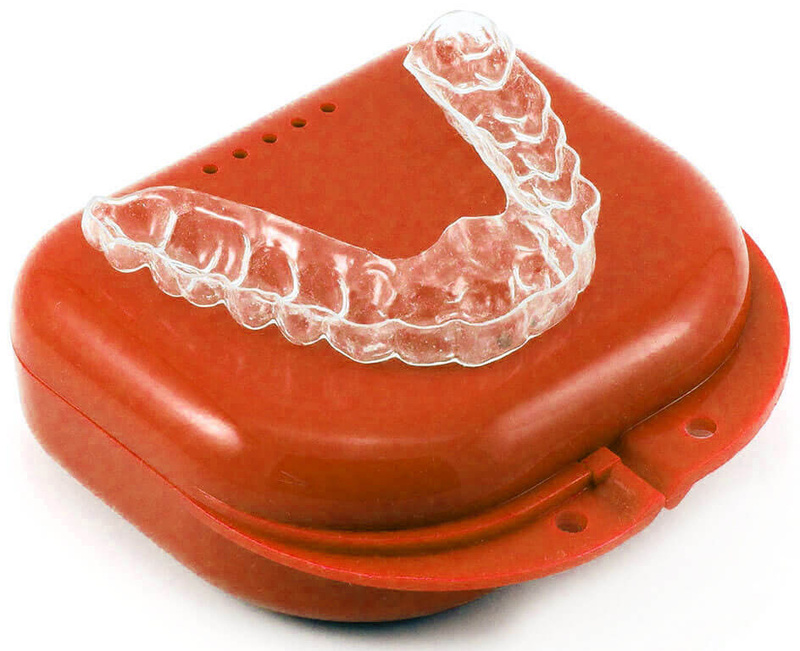 These night guards need to be worn on a nightly basis, as habitual grinding and clenching can lead to serious damage and possibly further complications due to lack of treatment. Of the many services that our dentists perform on a regular basis, there are few that are more important than oral cancer screenings. These consultations check for cancer in any of the parts that make up the mouth, including lips, roof, and floor of the mouth, gums, tongue and the lining of the cheek. Oral, or mouth, cancer is one of several types of cancers that are grouped into a single category of head and neck cancers. For those who pursue regular screenings, this can dramatically increase the chances that the disease can be detected early and treated effectively, which in turn will dramatically increase a patient’s chance of recovery. 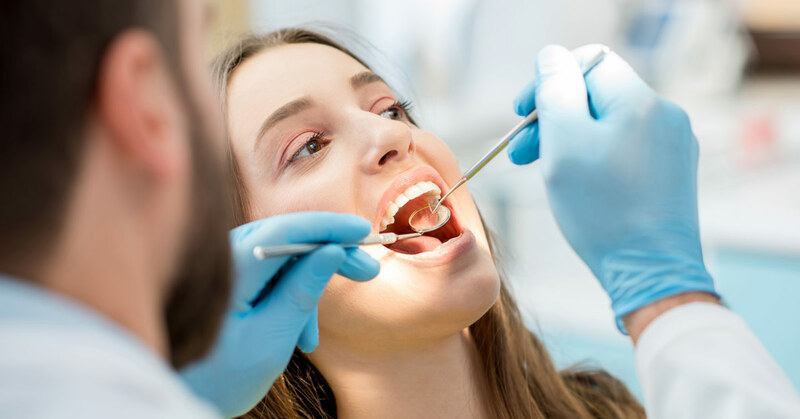 When patients visit our office, an oral cancer screening is usually one of the many tasks performed during a routine cleaning, but there are more advanced tests for those who are subject to a variety of risk factors. We will examine the inside of the mouth to check for red or white patches, as well as sores and other abnormalities that could be the early symptoms of oral cancer. The screening itself is not the only way to determine whether or not an individual has a form of oral cancer, as the next step is to remove tissue or cells from the abnormal area and testing them for cancer with a biopsy and we will let you know if we think that is necessary. Oral cancer screenings have become a fixture of our dental consultations as it is a vital step in promoting long-term dental health and preventing major health problems. 2. It can save your life. 4.It’s better to be safe than sorry. Even if you don’t have oral cancer, isn’t it better to be sure?